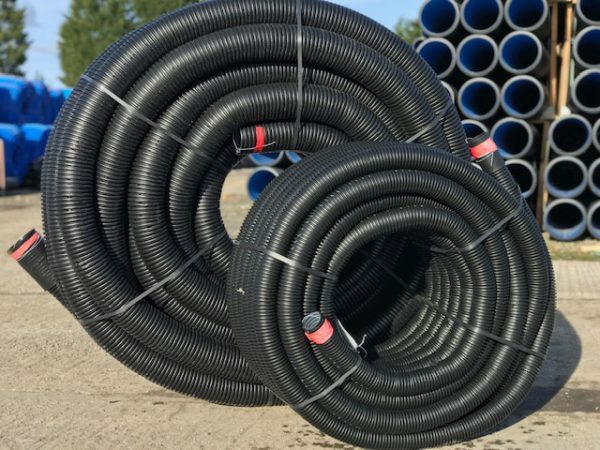 We offer an extensive range of ducting coils and cable protection systems to suit the requirements and specification of your project. Our range includes Polypipe Ridgicoil, Ridgiduct and Polyduct as well as ranges from Naylor Industries. Our range includes jointing and sealing mechanisms, junctions, inspection chambers and more. Our Ridgicoil range comes complete with integral draw cords for ease of installation. We stock 125mm Electric Duct in 6m lengths which is specified by Northern Power. Our range covers a complete spectrum of industry standards and Kite-marks and we also offer a range of colours to suit every application.